Does Industry Funding Influence Research? A recent study published in the peer-reviewed medical journal, Obesity, found that participants who consumed artificially sweetened beverages on a reduced calorie diet were just as successful at losing weight in 12 weeks as a group that drank only water. (1) In fact, the diet drink group lost an average of 12 pounds compared to 9 pounds in the water group. Conducted by well-respected obesity researchers from the University of Colorado and Temple University, the study was funded through an unrestricted grant from the American Beverage Association (ABA). So what did the media headlines herald? “Diet soda helps weight loss, industry-funded study finds,” “Industry-funded study implies diet soda is superior to water for weight loss” and “Could Diet Soda Really Be Better Than Water For Weight Loss?” The reader is left with the impression that the study results are questionable because it was funded by the beverage industry and that drinking diet sodas is better than drinking water. Let’s take a closer look at both of these ideas. First, there is much industry funding of research. Who else is likely to fund research on a food or ingredient than those who manufacture or grow it? And to say this research is dubious is to imply that these respected researchers are unethical and that the review process for the peer-reviewed journals in which they are published is also suspect. In March 2014, The Obesity Society issued a position statement on financial support of industry “Scientists and industry should be encouraged to collaborate in the interest of scientific discovery and public health, without fear of reprisal based solely on the collaboration. In itself, a transparent relationship between scientists and industry with full disclosure should not be used to insinuate compromised integrity of a researcher. And even though the study I mentioned found diet soda drinkers lost more weight that the water drinkers, the takeaway message is not that diet soda is better for dieters. The point is diet soda can be enjoyed when trying to lose weight and does not enhance appetite or cause weight gain as some have claimed. Beverage choices are a matter of personal preference. Diet sodas are 99 percent water and the low-calorie sweeteners they contain have been thoroughly investigated, approved by the FDA and their safety reaffirmed by numerous health organizations around the world. If someone does not care for water, another calorie-free beverage is certainly an option to supply adequate hydration. And according to Dr. Hill, the taste of the diet beverages may have satisfied the sweet cravings of that group so they were better able to stick with their diet plan. Neva Cochran, MS, RDN, LD is a registered dietitian nutritionist based in Dallas. 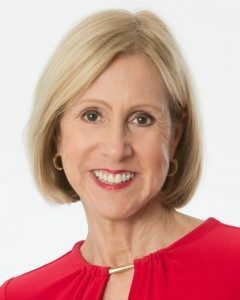 She was a freelancer with Woman’s World magazine for 20 years and currently serves as a nutrition communications consultant to a variety of food and nutrition organizations, including the Calorie Control Council. She is passionate about promoting fact-based food and nutrition information to help people enjoy nutritious eating. Follow her on Twitter @NevaRDLD and check out her blog at www.NevaCochranRD.com.